More than a year after Macron took office with the stated mission to bolster the EU and make it more responsive to its citizens, Merkel’s counter-offer comes at a time of heightened concern about the future of the bloc due to political turmoil in Italy and Spain and transatlantic tensions. She said the “rainy day fund”, as it has been dubbed, would serve to help even out economic imbalances between richer and poorer European countries “which need to catch up in the areas of science, technology and innovation”. “We need quicker economic convergence between the member states,” she said. “To do that we have to strengthen investment capability with the help of additional structural policies,” the Chancellor said, adding that the fund would be phased in gradually and then evaluated in terms of its effectiveness. 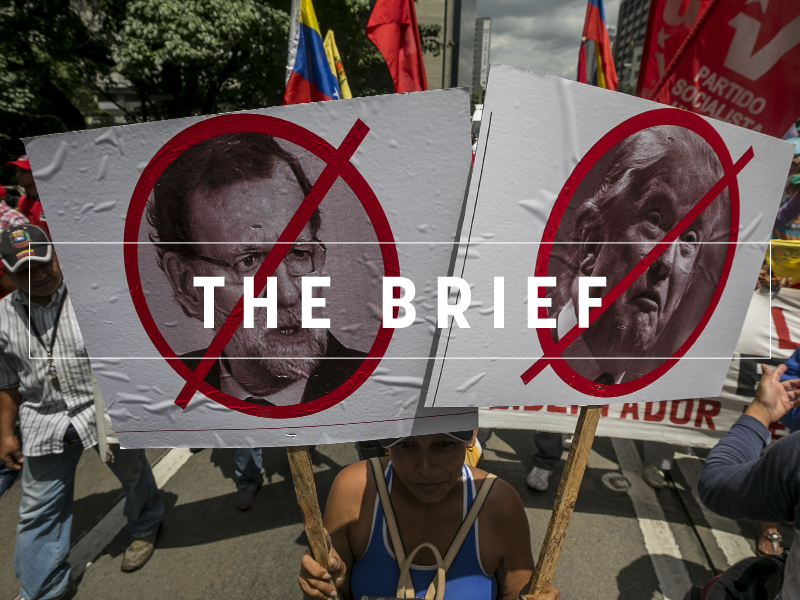 Although Merkel’s budget target falls short of the range proposed by Macron, it represents a concession of sorts to his view that excessive austerity has undermined faith in the bloc. 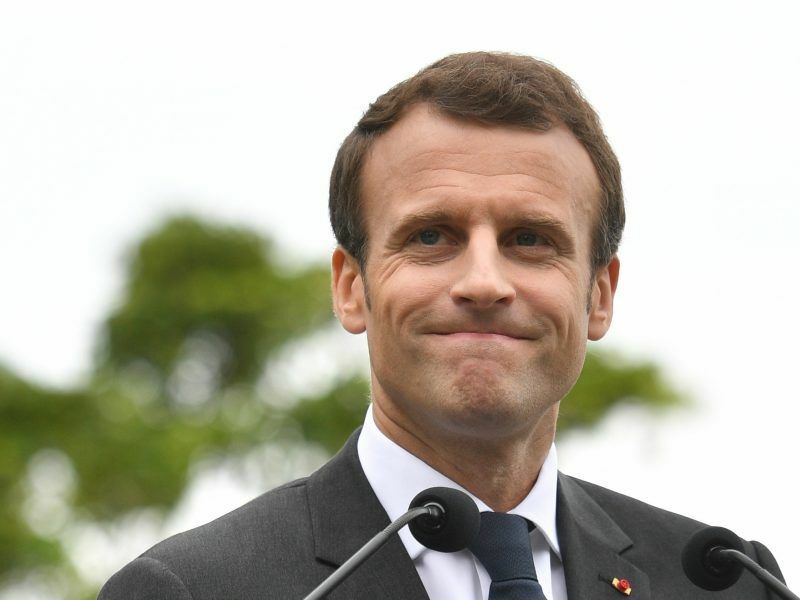 In Paris, the presidential Elysée Palace hailed what it said was a move “towards the French view”. “This is a positive move which shows the commitment to Europe of the chancellor and her government,” the Palace said. Merkel also supported the suggestion – originally a German idea – of turning the eurozone’s ESM rescue fund into a European Monetary Fund (EMF) with powers to give members hit by sovereign debt troubles short-term credit lines. 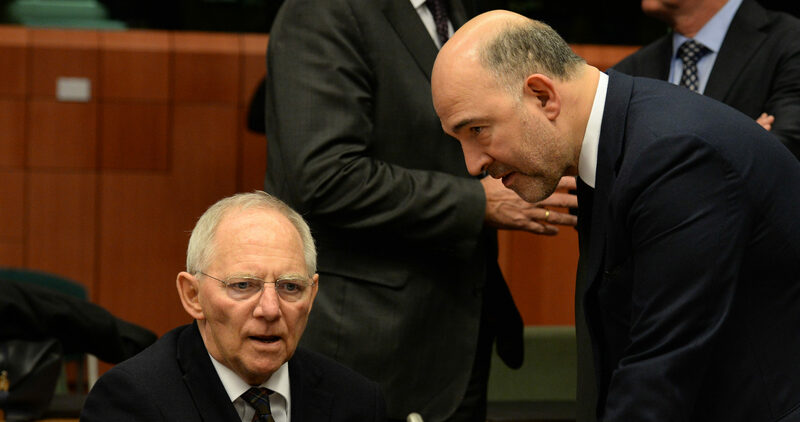 The European Stability Mechanism (ESM) is an intergovernmental body which oversees bailout loans to troubled member states, such as Greece. It was set up in the midst of the eurozone crisis in September 2012 and has a lending capability of €500 billion. “We aim to make ourselves a little more independent of the International Monetary Fund,” she said, underlining that the EMF would complement other measures to strengthen the euro, including a banking and capital markets union. However, she insisted that short-term credit lines to stricken countries should come with strict conditions: “always subject to special conditions of course, for a limited amount and with complete repayment”. And she also said the future EMF should be organised on an intergovernmental basis, ensuring national parliaments of member countries have oversight on how the money is used. While cohesion among members of the single currency bloc was important, “solidarity among euro partners should never lead to a debt union, rather it must be about helping others to help themselves,” Merkel said when asked about reports that Italy’s new government had planned to ask the European Central Bank to forgive €250 billion of Italian debt. 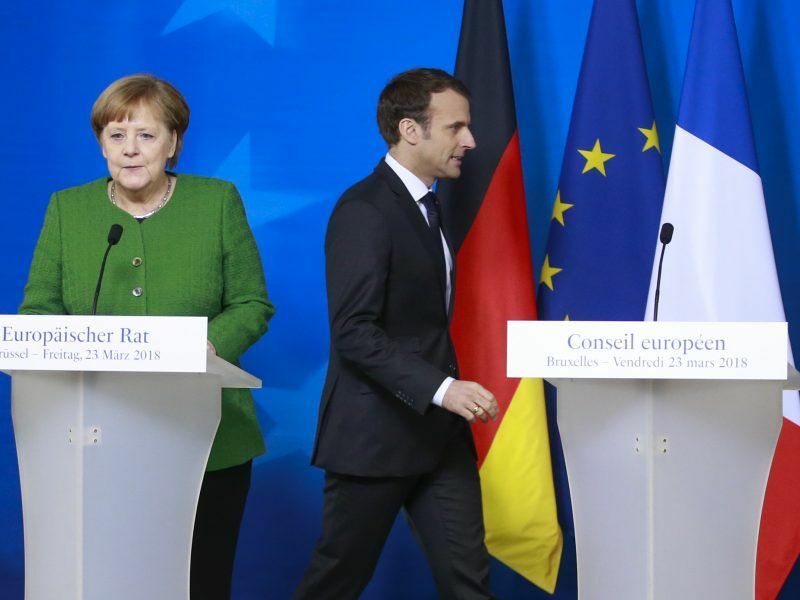 Germany and France, traditionally seen as the twin engines of European integration, plan to hold talks before the EU summit at the end of the month to coordinate their positions on reform of the bloc after Britain’s exit next year. A French government source said, however, that more work still needed to be done for an “ambitious agreement on the monetary union”. 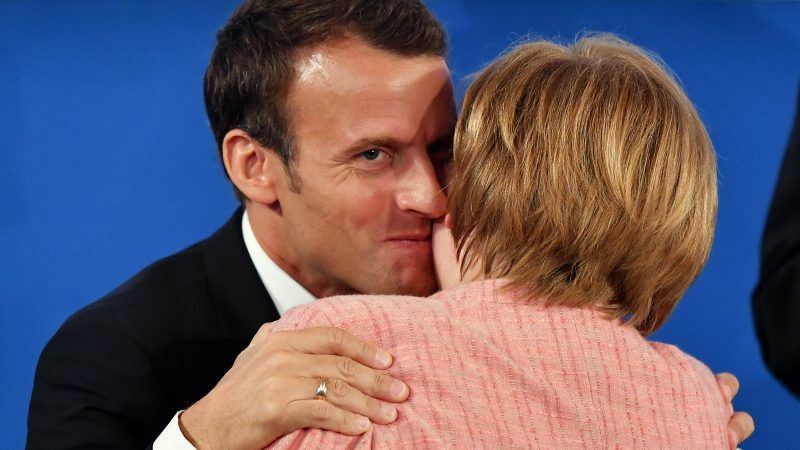 Merkel and Macron will meet together with their top ministers at the Meseberg palace outside Berlin on June 19 to finalise a joint roadmap for reform of the euro zone. They will then seek approval for the plan from fellow European leaders at a summit on June 28-29. The EU summit is seen as the last chance before European elections in May 2019 to get a few tangible projects on the road and demonstrate to frustrated voters Europe’s ability to deliver on its promises. “Don’t wait, act now,” he said as he picked up a prize in Aachen last month, urging Germany to overcome its “fetish” for budget and trade surpluses and back reforms even if it meant loosening the purse strings. On Italy, Merkel sounded a conciliatory note despite the anti-German rhetoric of the governing parties, which have argued that Berlin’s austerity policies have helped bring many indebted countries in southern Europe to their knees. She said she was “absolutely open to talking to the new Italian government about ways to help young people find work” given high levels of youth unemployment. 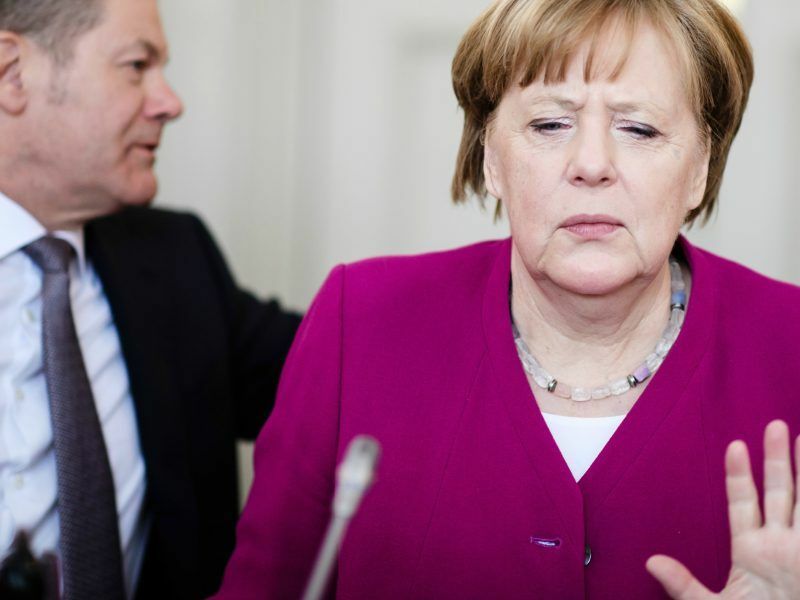 However Merkel, whose political power has diminished in her fourth term as her ruling majority has shrunk, insisted she would draw the line at German taxpayers assuming responsibility for other nations’ debt. “Solidarity between partners should never lead to a union of debt — it must be about helping others to help themselves,” she said.